Apparently, life doesn’t end when you get married. 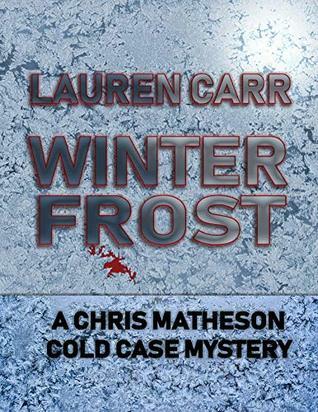 When a couple freezes to death on a fifty-degree day, Cassie is called in to investigate. The couple ran a daycare out of their home, making preschoolers the key witnesses and even the prime suspects. Two of those preschoolers are Cassie’s youngest siblings, suggesting conditions at home are worse than she feared. As Cassie struggles to care for her family, she must face the truth about her mother’s slide into depression, which seems to be taking the entire town with it. Then Cassie, too, is attacked by the supernatural cold. She has to think fast to survive, and her actions cause a rift between her and her husband. No, life doesn’t end after marriage. All hell can break loose at any time. I chose to listen to this audiobook after receiving a free copy from the author. All opinions in this review are my own and completely unbiased. I have read the complete Cassie Scot series by Christine Amsden including Frozen, but it is a series that I’d read again when and if I had time, so I jumped at the chance to listen to Frozen. Christine Amsden’s writing style flows well and is easy to read as well as listen to. The narrator did a great job but it took me a little while to get accustomed to her voice because it wasn’t anything like the voice I had for Cassie in my head. I know that sounds silly, and it’s no one’s fault, it’s just something I found interesting. There are a lot of characters in Frozen but they’re easy to keep track of since I feel like I know them and also because they’re each unique. Cassie is married to Evan and they have a one-year-old who is already powerful. They’re very much in love but they have a lot on their plates. 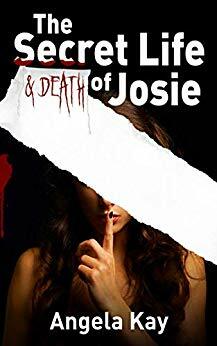 People are dying by being frozen to death, Cassie’s siblings are in trouble, there are hell hound sightings for the first time in 500 years, and Cassie is having weird dreams. There’s a lot going on in Eagle Rock. Cassie and Evan are both stubborn and there were times I wished I could tell them both, especially Cassie, to grow up! Her pride gets in her way sometimes. I have grown fond of the characters and the town of Eagle Rock and I’m looking forward to reading the next Cassie Scot book. I definitely recommend Frozen but I suggest reading the books in order to get the most out of them. Christine Amsden has been writing fantasy and science fiction for as long as she can remember. She loves to write and it is her dream that others will be inspired by this love and by her stories. Speculative fiction is fun, magical, and imaginative but great speculative fiction is about real people defining themselves through extraordinary situations. Christine writes primarily about people and relationships, and it is in this way that she strives to make science fiction and fantasy meaningful for everyone. At the age of 16, Christine was diagnosed with Stargardt’s Disease, which scars the retina and causes a loss of central vision. She is now legally blind, but has not let this slow her down or get in the way of her dreams. Christine currently lives in the Kansas City area with her husband, Austin, who has been her biggest fan and the key to her success. 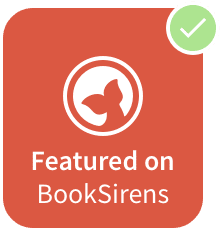 In addition to being a writer, she’s a mom and freelance editor.